Adorable Cape Cod. 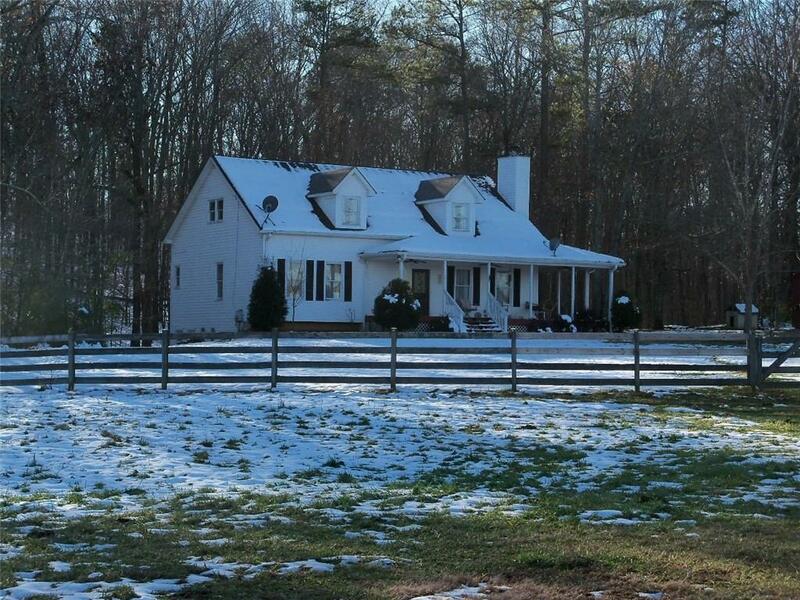 8+ acres lush pasture, 2-stall barn and sep run in. Long drive to private setting at rear in wooded knoll. Cozy warm living area, open floor plan. Great room w fireplace, hardwoods, sep dining, upgraded kitchen w granite. Large mstr on main/jetted tub/dual vanities/closets. X-lrg beds up w dormers, double closets, berber. Full bath in part-finished basement plus add rooms to be finished. Barn w electric H2O, two stalls, feed room. 4 board and field fence. Gated. Wrap porch to sit and enjoy the view! Great horse property! EZ commute to Atl Airport.